In the early AD 600s a new religion, Islam, was established by the Prophet Muhammad (died AD 632) among the peoples of the Arabian Peninsula. 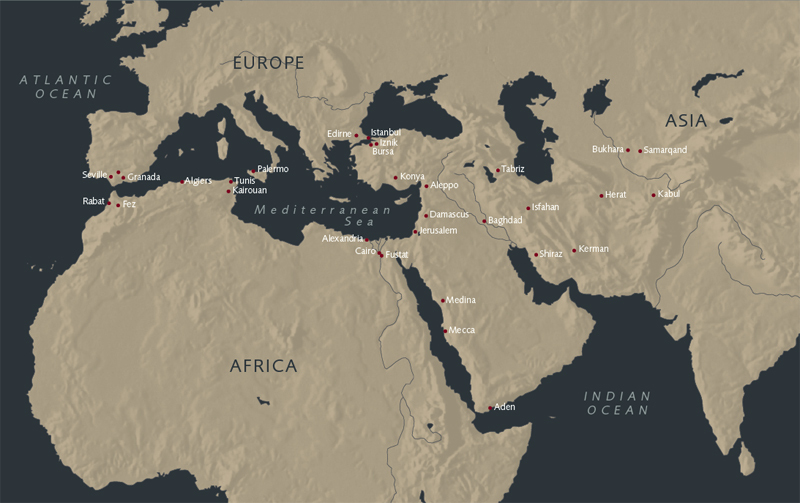 Within a hundred years, the Prophet's successors had conquered the surrounding territories and extended the new Islamic empire over a vast region stretching from Spain to the Indus Valley. In a few generations, Muslims reached East Africa, South-east Asia and China along the trade routes. 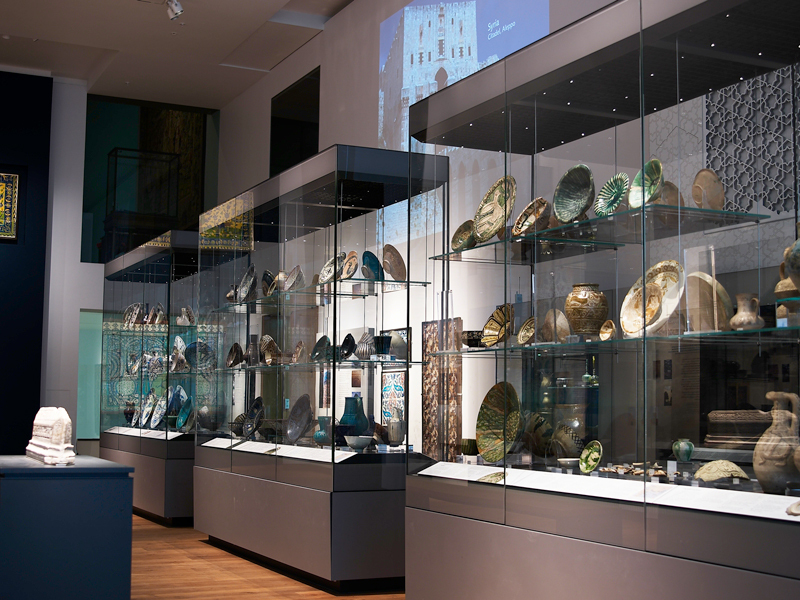 The Islamic Middle East gallery displays artefacts made over a period of more than 1000 years in the heart of the Islamic world, where cities like Cairo, Istanbul and Isfahan were the focal points of political, commercial as well as cultural activities. The arts of this vast area shared common traits, while each region maintained its own distinctive identity. Map from the Islamic Middle East Gallery. 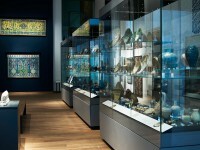 Islamic Middle East gallery showing projection and contemporary screen. 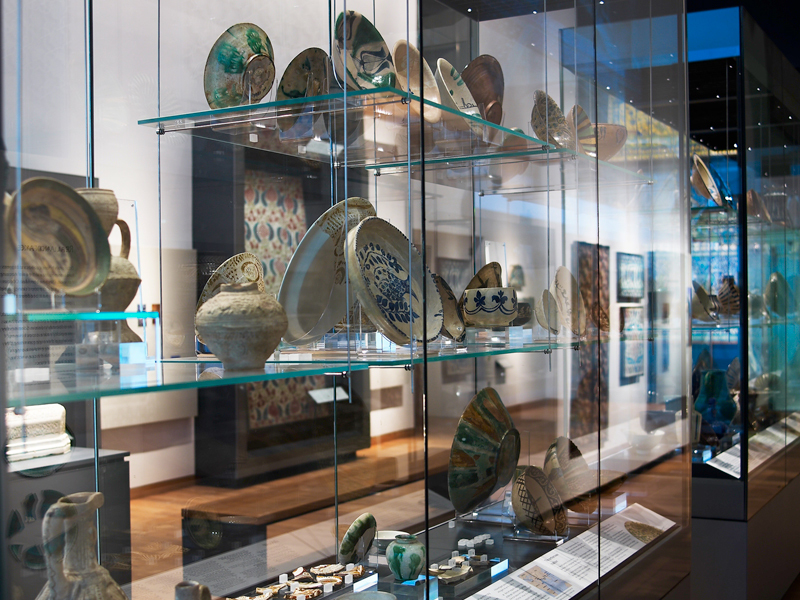 Islamic Middle East gallery showing ceramics case. 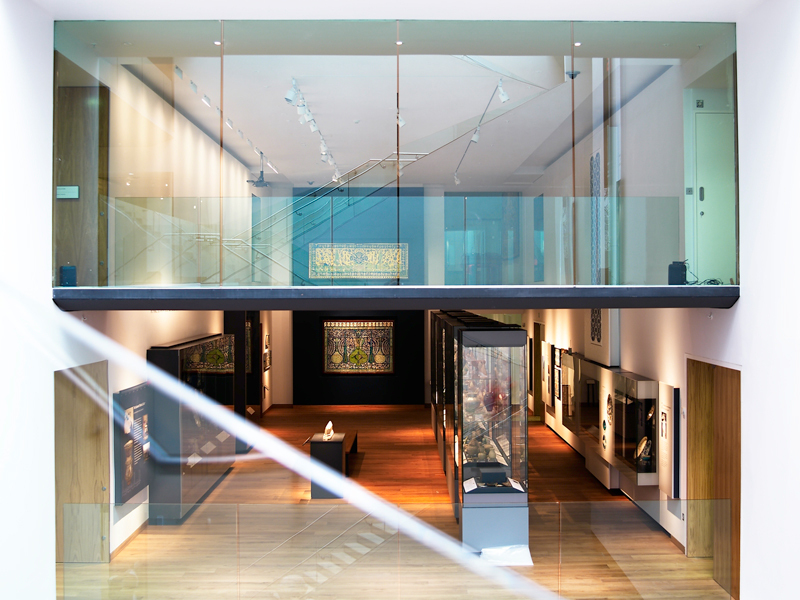 Islamic Middle East gallery from stairs. 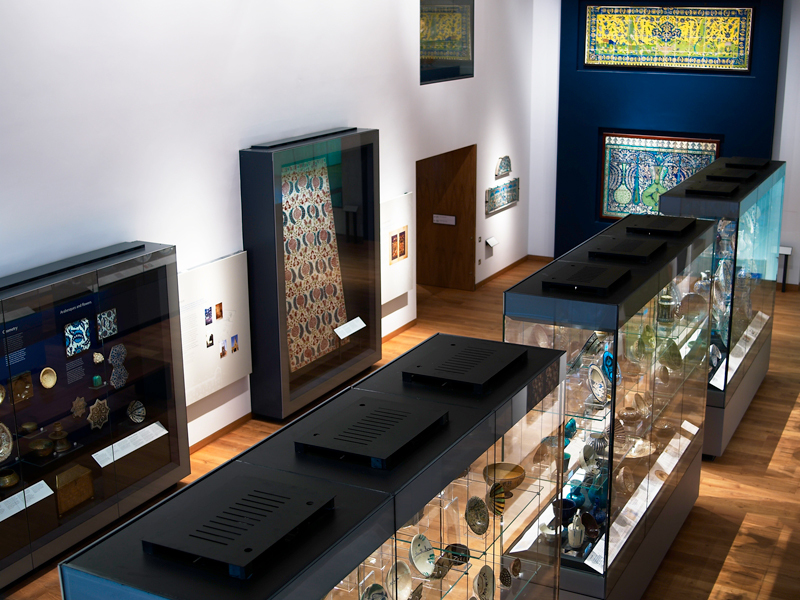 Islamic Middle East gallery from the bridge.